Nick Crofts, The Co-operative Member Council President shares his thoughts after visiting farms in April 2016. “Last week, I had the pleasure of being shown some of the outstanding work which is taking place in the Co-op’s beef and dairy supply chains. We visited Alan and Carol Parkinson at Dairy Barn Farm near Preston, which is home to 250 dairy cows. Alan took over the farm from his father and has worked there since leaving school at the age of 16. Alan and Carol think it is really important to encourage young people within agriculture and employ Lee, aged 24, who was previously apprentice on the farm. 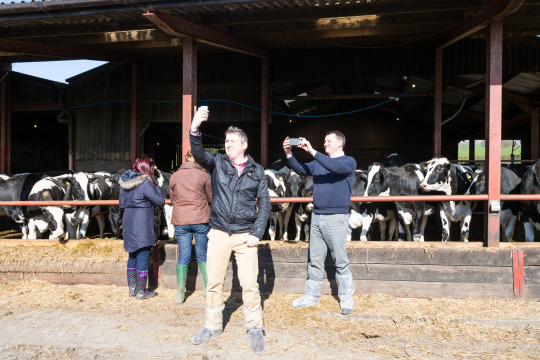 Alan, Carol and Lee were delighted to show us their farm and let us meet some of their happy cows. 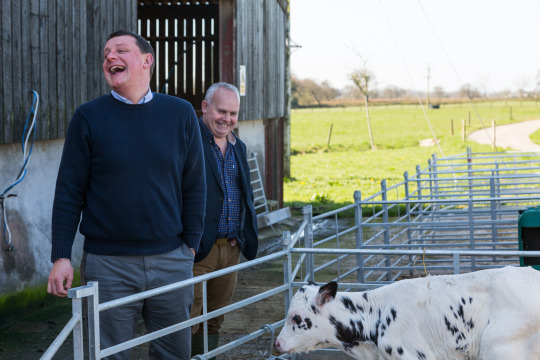 The Co-op has been leading the way with a programme bringing groups of farmers together to work in partnership to maintain strict animal welfare policies and encourage long-term investment and improvements to sustainability, efficiency and training. 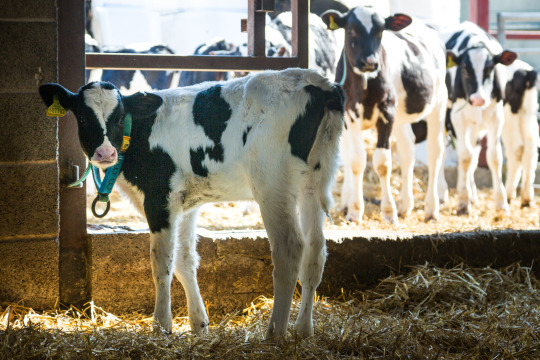 The Co-op Dairy Group was set up in 2011 to support British dairy farmers and to cement relationships with producers, who give us both high-quality milk and a transparent supply chain. The Co-op has a close, dedicated relationship with the 200 dairy farmers who form the Group. At the heart of our Co-operative Values, Principles and ethics is a commitment to be open and honest about where our food comes from. Our Agricultural Team works with farmers and suppliers to ensure our products are sourced responsibly. We support nearly 2,000 UK farmers and we have dedicated long-term relationships with more than 400, who are all part of the Co-op Farming Groups. These 400 carefully selected ‘foundation’ farms focus on growing and rearing animals to The Co-operative’s high standards. They provide chicken, pork, Hereford and Aberdeen Angus beef, Cambrian lamb and milk, through a transparent supply chain. From Dairy Barn, we headed next to Cappleside Farm to meet Chris Weston, a beef farmer that produces high-quality Hereford beef for our Truly Irresistible range. Chris grazes 40 beautiful Hereford cows across his 210 acres of grassland. His organic farming system is very traditional, utilising home-grown feed, and is eco-friendly, too. Chris explained that the Hereford cattle breed is well suited to his farm as they flourish on grass-based diets, which is the best quality and cheapest form of feed available. As well as being environmentally aware, Chris is also committed to treating his staff fairly and responsibly. The Ethical Trading Initiative Base Code – promoting respect for workers – is in place at his farm, signed by the members of Chris’ team. Staff are appraised annually and provided with training opportunities. Cappleside is a member of the Co-op Beef Farming Group, one of more than 60 carefully selected ‘foundation’ farms, which uses the finest native British beef breeds – Hereford and Aberdeen Angus. Each producer group meets three times a year, taking it in turns to host. During the meetings the farmers listen to expert speakers and have the chance to share ideas and best practice in efficiency, sustainability and animal welfare. Chris attends all meetings of the Co-op Beef Group and has hosted meetings to share his knowledge, experience and views with other members across the UK. 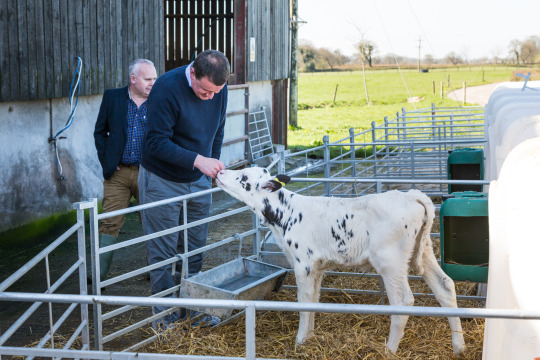 We also hear about the Co-op’s terrific Integrated Calf Scheme, which connects Co-op Dairy Group farmers with beef producers in order to ensure that calves produced at the dairy farms are retained within the Co-op’s Food business supply chain. This is a really important innovation and a big step forward on animal welfare – really demonstrating our Values and Principles in action. We then visited the Dunbia meat production facility at Sawley for a site tour. It’s a very impressive place that produces top-quality meat for the Co-op to the very highest environmental and welfare standards. Dunbia is a fascinating firm that has been producing meat for the Co-op since 1985. Stared by two brothers in Dungannon in the mid 1970s, the firm has grown from its early days wholesaling meat to butchers from the back of a van in Northern Ireland, to a now huge multinational operation supplying more than 30 countries. Still owned by the same two brothers, Jim and Jack Dobson, they are hugely proud of their longstanding partnership with the Co-op. It was a tremendously enjoyable and enlightening day that demonstrated vividly that the Co-op is working hard every day to put our Values and Principles into practice. 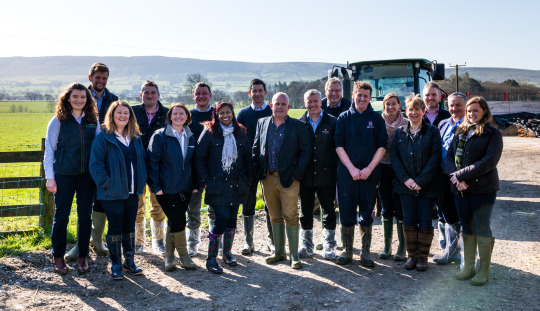 We have a proud record working in partnership with British farmers to ensure that our products are of the very best quality, that farmers are able to plan and invest for the long term and that the highest welfare and environmental standards are upheld.